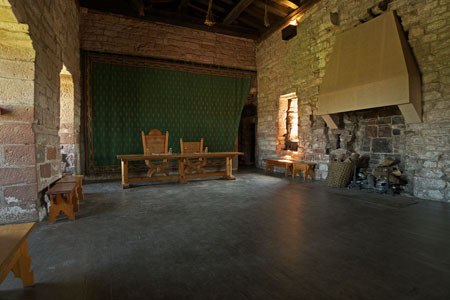 Outer gatehouse main hall. Carlisle Castle. Outer gatehouse main hall. The windows on the left look out over the outer ward.